Improved group functions, support for several storage backends, persistent sharing links as well as new API calls for multi-tenancy systems are the major improvements of the Seafile Server Professional Edition 6.3.2. Additionally, Seafile‘s Professional server inherits all improvements from Seafile‘s Community Server released at the end of May. Beginning today, the Seafile Professional Server Version 6.3.2 is available in Seafile’s Customer Center (https://customer.seafile.com). Since the release of the Seafile Professional Server 6.3.0 at the end of June, the beta release of the Seafile Server has been thoroughly tested and is now ready for production use. 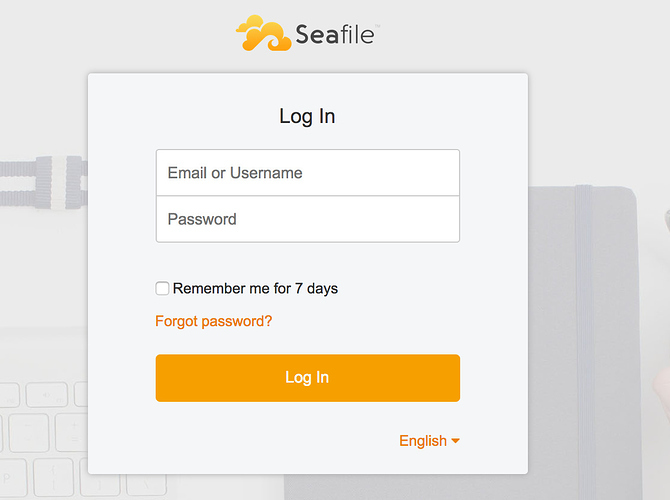 License holders can download the Seafile Professional Server 6.3.2 from the Customer Center, and interested parties can use the Professional Edition of the Seafile Server with up to three users without a license. In Seafile Professional 6.3, Seafile‘s development team has greatly extended the software’s group concept and implemented new group functions. In the past, groups were distribution lists facilitating the sharing of resources to multiple users. The new version introduces a new kind of a group: ‘Departments’. Departments can own libraries and system admins have their own storage quotas assigned to them. By default, group members have read-and-write access to all group-owned libraries, yet group admins can restrict access. Just like user-owned libraries, group libraries can be shared with other users and other groups. If needed, departments can also have sub-departments to reflect the organizational structure. User storage quotas need not reflect users‘ roles in groups anymore. User-to-user transfers of libraries made necessary by a user‘s departure from a group are a thing of the past. Organisational units can manage their resources more independently. Version 6.3.2 supports file and folder transfer from user-owned to group-owned libraries. Ownership transferability of libraries will be implemented with a future update. (More on departments on Seafile’s help pages (https://help.seafile.com/en/sharing_collaboration/departments.html). Another new feature of the new Seafile Professional Server is the support for the combined operation of different local storage backends. Based on the specific configuration, the server decides in which backend to store the data. This development prepares Seafile for areas of application in which Seafile has not been well represented so far. One attractive use case, for instance, is the side-by-side operation of fast disk/solid state drives and optical strorage for long-term archiving. When creating a library, the user chooses which storage to use. (Documentation for multiple storage backend support in the Seafile Manual (https://manual.seafile.com/deploy_pro/multiple_storage_backends.html) . Seafile’s public sharing links are the means of choice for sharing large files with external parties. Unfortunately, sharing links were not immune against file transactions. Previously, renaming or moving a file or its folder broke the link resulting in an error message when calling the link. With the new server, this limitation is no more. Seafile Server 6.3 introduces persistent links. They prove resilient against changes in name, location and even libarary ownership. The only thing left to break links is a move from one library to another. All existing links automatically become persistent with the update to 6.3.2. Besides improving on the existing links, Seafile Professional 6.3.2 introduces a second type of link. Developed for improving team-collaboration and other internal use cases, the new internal links serve as pointers to files and folders stored on the Seafile Server. They have the intuitive URL structure and the links‘ persistence in common with their public counterparts. Contrary to them, they require read permission for the linked resource. The Seafile team uses them extensively in their chat and task management systems. In Seafile 6.3, document preview in Seahub benefits from the implementation of PDF.js for rendering PDF files (https://mozilla.github.io/pdf.js/). Compared to the preview with Collabora in previous versions, the generation and display of PDF files is now much faster and more precise. And not only has PDF preview become better, but also the preview of office documents. Office documents are now converted into PDF format and displayed directly using PDF.js. The slow conversion into HTML is omitted. 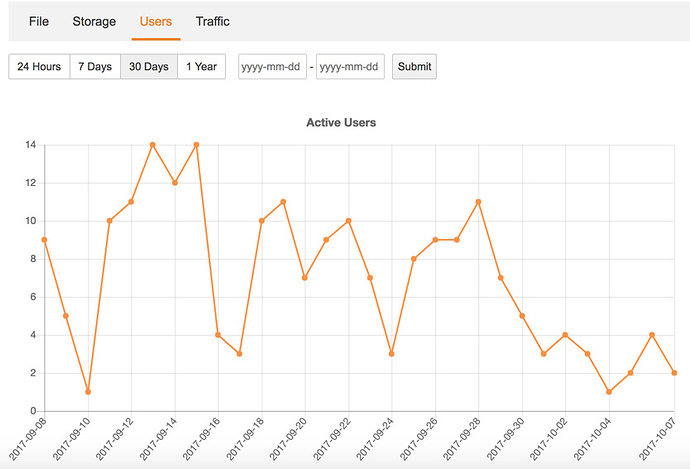 The extension of Seafile’s API takes place against the background of the increased use of Seafile by hosting providers. The new API makes it possible to integrate the wholesale administration of multi-tenant systems in existing administrative tools. Managing a multi-tenant system in Seafile has never been easier. What is more: The API paves the way for on-demand pricing models in which users pay only for used resources, not for assigned resources. File locking prevents file conflicts when files are simultaneously edited by multiple people. Only one user can open the file with the permission to write to the file. Previous versions of the Seafile Sync Client only supported file locking under Windows. The current version also supports file locking under Mac in combination with Office for Mac. And this is not all! Seafile’s file locking was improved in a second way: File locking also kicks into action when a file is open in an online editor (e.g., OnlyOffice, Collabora Online, Microsoft Office Online Server). A user trying to edit a synced copy on his local machine receives a file-locking notification and opens the file in read-only mode. Chief among the improvements in Seafile Community 6.3 is a new, inhouse-developed Markdown Editor. The new editor provides two important features so far missing from (almost all) other markdown editors: table-editing and image inserting in WYSIWYG mode – the view mode users are used to from text editors such as Microsoft Word. The new editor replaces the old one that has reached the end of its lifetime for lack of extensibility. Both Seafile Server editions now use Django version 1.11. Django 1.8, used since version 5.2 in Seahub, was deprecated in April 2018. Django 1.11 is in long-term support until mid 2020. As a consequence of the update, FastCGI mode is no longer supported by either edition in a configuration with Nginx/Apache as reverse proxies. WSGI mode is the required mode. Aiming at unifying and streaminling Seahub’s site layout, the action buttons, formerly located underneath the breadcrumbs, now sit in the top ribbon (see figure). As a positive side effect, the change in position frees up extra space in the main window. Following the release of the beta version of the Community Server 6.3 on May 26, we are pleased to release the Seafile Professional Server 6.3 for testing today. The production version is slated for the end of July. The redefinition of the role of groups in Seafile is the most notable change in version 6.3. Group-owned libraries and the nesting of groups are completely new features. The support of multiple storage backends and the persistence of public links are two more major improvements introduced in version 6.3. More details about these and the many other improvements are coming up in the rest of this announcement. Through version 6.2, the ownership of libraries was limited to users. Reacting to feedback from user base, this changes in the current release! Beginning with version 6.3, ownership of a library can lie with a user or with a group. Additionally, groups can be assigned quotas and they can have sub-groups. With this change, we aim to facilitate file and storage management in larger organizations with frequent group entries and exits. Here is just one example of where we think group-owned libraries will be of help: If a user leaves a group, no more libraries must be transferred from this user to another. Groups able to own libraries are called departments, their sub-groups sub-departments. All libraries created in a department by a department administrator belong to this department and can be accessed by all department members – either with read-only or read-write permission. Of course, commonly-owned libraries can be shared to other groups and users outside the department. Departments can be created and managed via the admin panel (see figure). An unlimited number of admins and users can be named as members. In a future release, we will add the ability to transfer ownership from a user to a department. With Seafile Professional 6.3, different local storage backends (e.g., local disk and Ceph storage) can be combined and used together for one Seafile server instance. To use this feature, all data need to be sent to the Seafile server which then determines where to store the data based on the individual configuration. Besides increasing general storage flexibility, multiple storage backend support also opens up new application areas for Seafile. In one implementation scenario, which we deem attractive, fast disk storage is operated side-by-side with slow, high-density optical storage. When a new library is created, the user chooses whether to make the library hot access and to store the library in the disk array or on the optical storage for long-term archiving. Did you know: A sharing link was rendered unusable when the file or its folder was moved or renamed? We did know and we did not like it! This is why Seafile Professional 6.3 does away with it! Beginning with version 6.3, public links are persistent and immune to file transactions such as renaming or moving. Public links also stay intact when library ownership changes. Only deleting a library, this you can’t do without harming the public link. Good news for all those that use Seahub without Collabora or OnlyOffice integration: Seafile’s built-in document file preview is a great deal faster now. Instead of rendering office documents in HTML, they are converted into PDF format and displayed as such. pdf.js, which Seafile uses for that purpose, has also been updated. Seafile Professional Server 6.3 inherits all improvements and updates that the earlier released Seafile Community Server 6.3 features – for which a production version was made available since the beginning of the week. Below a summary of the three most important shared improvements. Seafile Community Server 6.3 introduces a brand new, Seafile-made WYSIWYG markdown editor. The new editor provides two important features so far missing from (almost all) other markdown editors: WYSIWYG table-editing and image inserting. It replaces the old non-WYSIWIG editor which – unfit for extensions – proved to have reached the end of its lifetime. A new table is added by clicking on the table icon in the menu bar. Rows and columns can be added/removed and alignment changed quickly by means of context-sensitive menu buttons (see figure). Images can be inserted by simply dragging&dropping the files form the file manager into the editor, through the clipboard or the image icon in the menu bar. Similarly, links to other files in the same library can also be easily added by drag and drop. Another boon of the new editor: It supports markdown shortcuts. For example, * + space at the beginning of a line inserts a list. WYSIWYG is enabled in the Rich Text Editor. The lovers of MD code’s clarity can switch to the Plain Text Editor by clicking on the three dots button. Django 1.8, which was used since Seafile version 5.1, was deprecated in April 2018. Both Seafile Server editions have now been updated to Django 1.11. The long-term support of Django 1.11 runs until mid-2020. As a consequence of the upgrade, the FastCGI mode is no longer supported. Seafile behind Nginx/Apache must be configured in WSGI mode as of now. Version 6.3 introduces a slight modification of Seahub’s navigation bar. In an attempt to make the positioning of the action buttons more consistent across pages, the buttons moved to the top bar (see figure). For more details on the Seafile Community Server 6.3, see the corresponding release statement (https://forum.seafile.com/t/seafile-server-6-3-is-ready-for-testing-a-wysiwyg-markdown-editor-and-more/6250). A few weeks ago, a new ransomware named “WannaCry” attacked a lot of computers around the world. The ransomware encrypts all the data in affected computer and asks for ransom with BitCoin for “decrypting” the data. However, security experts warn that even if users transfer the ransom, it’s still not possible to recover the data. This kind of ransomware appears from now and then. It never stops threatening people’s data. “WannaCry” got people to know that how vulnerable their data is. The only valid defense against ransomware is an up-to-date backup of your precious data. Since backup is something Seafile is very good at, we’d like to share how to use one of Seafile’s special feature — library snapshot to easily recover your data. First of all, Seafile cannot help you to decrypt the data encrypted by ransomeware. Whenever you change or add a file inside a synced library, Seafile automatically creates a new version on the server. The old versions of a file is still kept in library history. From Seafile’s point of view, when the ransomeware encrypts a file, it just creates a new version of that file. So you can still find the original version on the server. File history is a pretty standard feature of all file sync and share products. However, Seafile goes one step further to help you recover all of your encrypted data very easily. Seafile creates a snapshot of the entire library whenever any change is applied to the library. Users can look into any snapshot in the history and restore the entire library to the status of that snapshot, in just one click. Simply put, every library has a “time machine” built into it. With other cloud storage products, you have to either recover the files one by one, or write a script to recover the files in batch. Dropbox does provide a similar service, but users have to contact support manually to ask for recovery. In Seafile web interface, navigate into a library. You can find a small “clock” icon on the top-right position of the file list. You can click that icon to view library’s history. Hover your mouse over any change record in the history page. You’ll see the “view snapshot” link. Click that link, you’ll see the status of the library after that change was applied. To the top-right of the file list, you can find a “Restore” button. Clicking that button will restore the entire library to this snapshot state. That’s it! You defeat ransomeware within a minute. Enjoy! Seafile Drive Client 0.6 is available now! We’re excited to announce the release of Drive client 0.6 version. In this version we added two long awaited improvements: file and folder sync status overlay icons; and sync error notifications. Some syncing bugs are also fixed to make this version more reliable. You can see the overlay icons in Windows file explorer as in the screenshot below. Cloud-only (with a “cloud” icon): files or folders not downloaded to local computer yet. Only file name, size and last modification date are available. Synced (white tick with green background): Files or folders are completely synced to local computer. You can access them when offline. Partially synced (green tick with white background): Only appears on folders. This means some files or folders inside the folder are downloaded. Syncing: files or folders are being uploaded or downloaded. Whenever a sync or network error is detected, a disclaimer (“!”) will be displayed on the system tray icon. When the client detects the server is disconnected, a notification will be popped up. When the client encounters an error in syncing, a notification will be popped up. And you the users can see all sync errors by right clicking the system tray icon and choose “view file sync errors”. We hope you like this new version. Feedbacks are welcomed! The latest Seafile Pro Edition (6.0.6) adds real-time co-authoring to its integration with Microsoft Office Online Server and Collabora Online. This ability will greatly boost collaboration productivity for teams. With real-time co-authoring, two or more users can edit a document at the same time and see each other’s changes while they’re typing. You can see the cursor location where someone is working and what they’re typing as they type, just as if they are working on your computer or device. You can hover over the cursor location and see who is making the changes. Co-authoring supports most modern document formats:.docx, .pptx, and .xlsx. Co-authoring is only supported in Collabora Online 2.0. Here are some samples for co-authoring on different document types. Co-authoring is only supported in Office Online Server 2016. We are happy to announce that in the last quarter five educational institutions joined Seafile community, including Max Plank Society (MPS) in Germany, Poznan Supercomputing and Networking Center (PSNC) in Poland, University Hannover in Germany, Institute of Informatics at the University of Zurich in Switzerland, St. Paul’s Hospital of University of British Columbia in Canada. We are working with Max Plank Digital Library (MPDL) on the Keeper project. The Keeper project is for the exchange, storage and long-term archiving of research data. Researchers at the Max Planck Society (MPS) are required to comply with the “Rules of Good Scientific Practice” adopted by the Senate of the MPS, which include guidelines for long-term archiving of primary data for at least 10 years. The syncing performance, reliability and support for large files is critical to the success of the project. MPDL chose Seafile after throughout testing for about a year. Seafile’s high reliability and the ability to sync very large file (even 1TB in size) makes it a very satisfying solution for them. St. Paul’s Hospital of University of British Columbia uses another product for internal file sharing and collaboration for a few years. After switching to Seafile, they find the reliability and performance of the service are much improved. We’re looking forward to bigger developments for Seafile in educational communities in the year of 2017! We’re glad to announce that Seafile Drive client for Windows is now ready for production use. Since the initial beta release in September, the Drive client has evolved rapidly. Thanks to the feedback from our community, many issues in the beta version have been fixed in the last two months. Now the Drive client is stable enough to be used by general users. You can download it from our website. User manual is available too. The Drive client is a new way to map your Seafile storage as a virtual drive on your computer. You can access all your files in Seafile without syncing them. We believe it’s a more intuitive way to use cloud storage. For more information about the Drive client, you may read our previous post. We’re also working on Linux and Mac version of the Drive client. They’ll be available soon. Seafile pro edition 6.0 is ready! After Seafile pro edition 6.0 runs smoothly for several weeks on our servers (seacloud.cc, demo.seafile.com), we are glad to announce that it is ready for production use! If you have a wide screen, the new full screen can take the advantage to show more contents in a line. If you have a narrow screen, the new interface can also adapt to it. 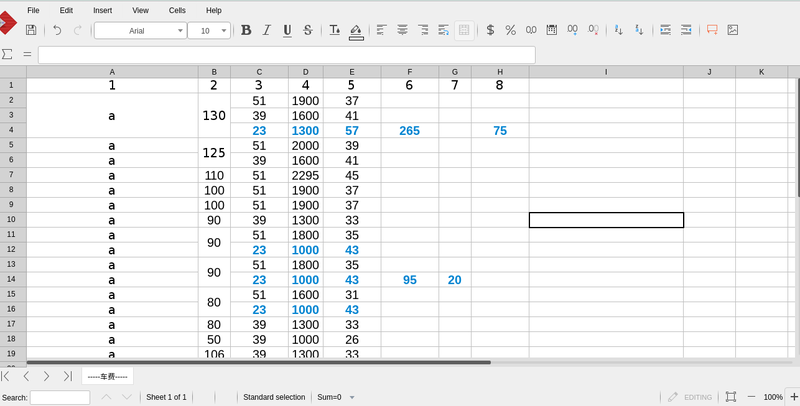 Collabora Online is LibreOffice-based online office suite that supports all major document, spreadsheet and presentation file formats, created by Collabora. It is an open source Office 365 alternative and works on all major browsers including those on mobiles. With this feature, you can define roles and assign a role to a user. This make permission/feature control more flexible. So the guest can’t create his/her own libraries and groups. He/She can’t use desktop/mobile clients too. This is a quite common feature nowadays and it comes to Seafile now. 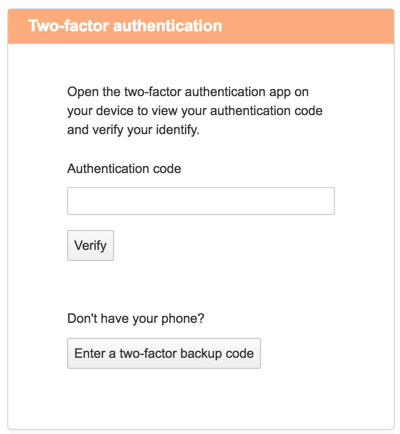 Seafile supports Google Authentication and text message currently. After the admin enables this feature globally, a user can turn it on via the settings page. More information can be found in Seafile manual. Enterprises usually have demanding requirements on data security. Losing a laptop computer, even though not an often case, is a threat to data security. With remote wipe, files synced to a computer can be wiped after it’s lost. A user can unlink a device via the web interface. When unlink a desktop client, he/she will be asked an option to whether wipe the data on that desktop client. If the answer is yes, the data on that client will be deleted when the client connects the server. Desktop client version 6.0 is needed to use this feature. For mobile clients, the data is wiped by default when the device is unlinked. Educational institutes are among the biggest customers of Seafile. From file syncing to sharing, from collaboration to long-term data retention, Seafile helps educational institutes to solve many important use cases. Users from educational institutes also actively participate in the Seafile user community, providing valuable feedback and suggestions to our road map. With outstanding reliability and performance, Seafile has become a leading file sync and share solution for educational institutes. From Sep. 26th to Sep.29th, founders and developers of Seafile Ltd. met with Seafile users from educational institutes in Europe. It was a fruitful trip and we have a lot exciting news to share. The most exciting one is the formation of Seafile educational community. The meeting was held in Homboldt University of Berlin. Administrators/researchers from other universities and research institutes attended the meeting, including University of Mainz, University of Strasbourg, University of Hannover and PSNC of Poland. Users and Seafile developers actively exchanged ideas about Seafile’s features and development. We received many good inputs into our development road map. Seafile developers presented an outlook to the development of the next year, especially the up-coming Seafile Drive client. People showed a lot of interest to new features. At the end of the meeting, educational users and the developers all agreed to further advocate the growth of Seafile educational community. The efforts will be lead by Homboldt University of Berlin and University of Mainz. A dedicated educational community forum (https://moodle.hu-berlin.de/course/view.php?id=67467) was set up and maintained by Homboldt University of Berlin. This will become a communication platform for all Seafile educational users to share ideas and coordinate events. More and more institutes will be joining this community. If you’re interested in joining the forum, please contact us via info@seafile.com. After the meeting, Seafile developers went on to Munich to meet people from Max Planck Digital Library. We also met with some business partners in Germany. We’ll have more interesting news in the near future. Welcome to the new Seafile educational community!